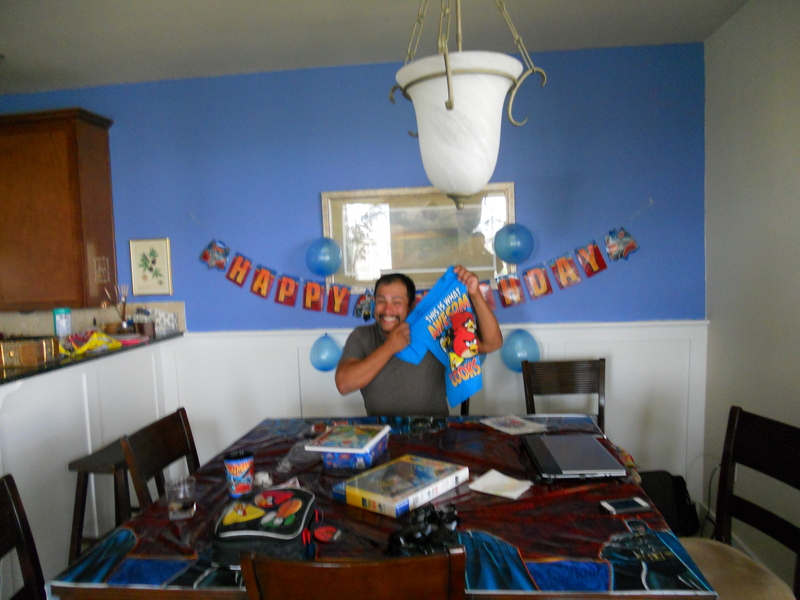 Galveston Day 7 – HAPPY BIRTHDAY TO ME!! Even though Daddy hurt himself, the world continued to turn and days past so there was no stopping my birthday. 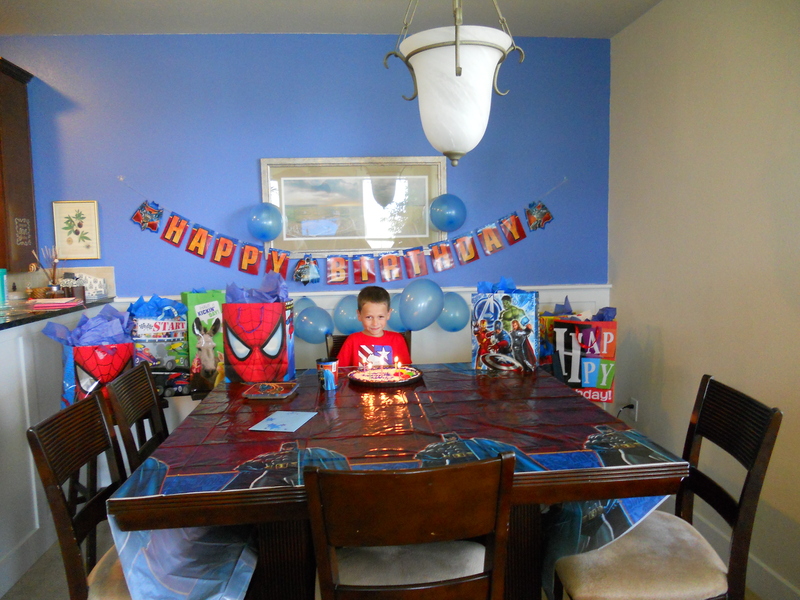 That’s right, I’m no longer a little 5 year old – I’m the big 6!! The first thing I did when I woke up was to stand up tall and see how much I grew. 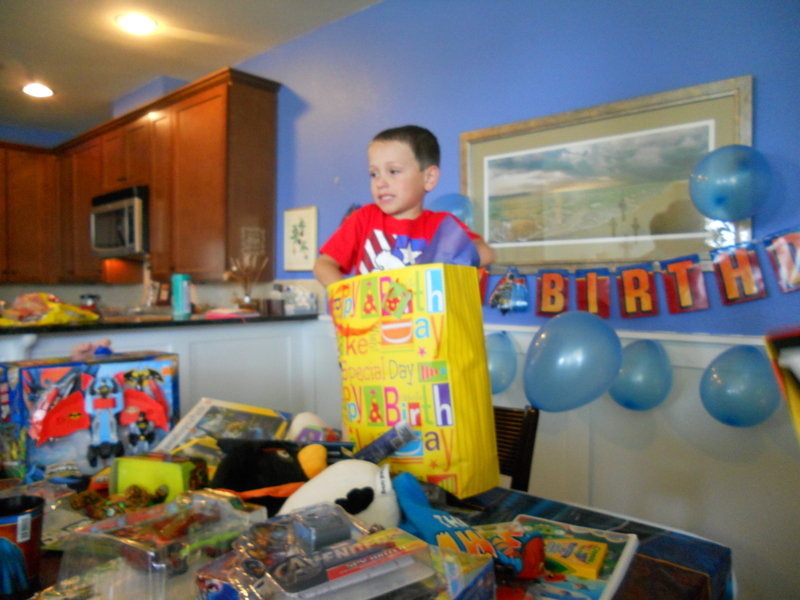 Then I ran through the beach house getting happy birthdays from everyone. I was like cool, but where are the presents. I had to wait a little while we set up the decor, but it was well worth the wait because I got so much stuff. I must be loved because the more you’re loved the more toys you get, right? Do my parents need to revisit that one with me? That actually may be me more imposing that rule on my parents rather than them teaching me that way. Whatever – I got lots of presents and that is what I am shooting for. I need to get the bumper sticker that read “The one that dies with the most toys wins” and put it on my motorized Jeep next to my vanity plate.